document posted below is a copy of the letter that came into his possession earlier this month, which he sent to the chair of the Anti-Corruption Commission. Opposition Leader Alden McLaughlin said it was the same document that he had seen, which he understood had come to light during civil proceedings in the Grand Court. The letter, which appears to have been sent from the fax machine in the former ministry of tourism and environment, is headed "Windsor Development Corporation" and is dated 7 October 2004, around four weeks after Hurricane Ivan had devastated Grand Cayman. It is signed by W. McKeeva Bush and appears to be a request for payment of $350,000 to Windsor Development in connection with re-zoning of land in the West Bay Seven Mile Beach area. The letter indicates that Bush had ensured that all of the “proposed re-zoning issues have been agreed and approved by Cabinet”, as he asked Thomas to wire what was described as the balance on the transaction. The letter does not make clear what land the transaction involves but it is understood that the land owned by Thomas in the area, which he acquired earlier in 2004, was the property that was recently sold to the Dart Group and where it plans to develop a new resort . Miller said that after the letter came into his possession this month and he heard that a year long investigation was taking place, he made an FOI request to the planning department and found that the company named in the letter did not make the re-zoning application on the land owned by Thomas. It is understood that the document which triggered the investigation was uncovered during a civil case in Grand Court that involved Stan Thomas and Ron Zimmer regarding various land transactions, which was eventually settled. It is not clear if this letter is the same document that the premier alluded to at a rally for jobs on Saturday on Seven Mile Beach, when he stated that it was a “real estate bill” that the investigation may have been concerned with. He had also stated in the Legislative Assembly last week during the budget debate and Finance Committee hearings that “people were twisting people's letters”, but he did not say if that was directly linked to the current police investigation. Although neither the police commissioner nor the governor have confirmed that Bush is under investigation, they have both confirmed that an investigation of some kind is taking place, which was instigated by the governor after “financial irregularities” were brough to his attention. CNS sent both offices a copy of the letter and asked for comment on the document but both delined to give further comment on the matter. (CNS): The father of Jeremiah Barnes, the four-year-old child shot and killed at a West Bay gas station last year is in fear for his and his family’s life, the Summary Court heard today. 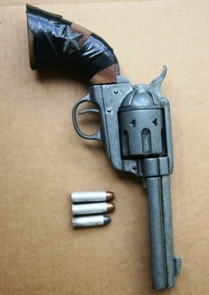 Thirty-one-year old Andy Barnes, who was arrested following an operation in North Side earlier this month, was charged by police with possession of an unlicensed firearm and appeared in court Thursday afternoon (30 June). 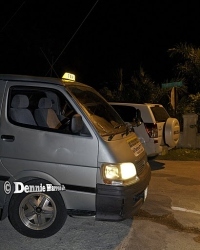 His defence counsel, Nick Dixie, said he was in the odd position of deciding not to make a bail application because the police had made no provision to protect his client, despite the fact that the RCIPS had intelligence that Barnes was a target. Barnes is a key witness in the crown’s case against Devon Anglin for the murder of his son. Dixie pointed out that Barnes needed to be in custody for his own protection but it was hardly a long term solution. He said that requests for protection for his client and his family, especially his wife, who is also a witness in the same murder case, had been made numerous times and the police were well aware the danger he was in and the various attempts that had been and were still being made on his life. 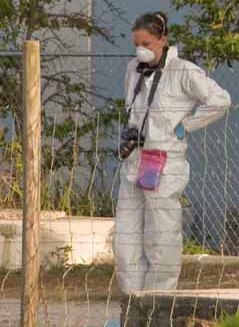 “It is the police themselves that have told Mr Barnes that they have credible intelligence that his life is in danger,” Dixie told the court. “I hope by the next appearance the crown is in a position to protect Mr Barnes and his family.” The lawyer added that there was an argument that, given the circumstances, Barnes should be removed from the island. Dixie told Magistrate Valdis Foldats that there was far more to the case before him than meets the eye but there was a certain inevitability about the outcome of the situation which was very frightening. Barnes was arrested after police searched the house he was living at in North Side and found the loaded gun inside a cushion on the porch chair. The operation was reportedly carried out at the property as a result of intelligence given to the police. The crown said that following his arrest Barnes admitted having the illegal firearm because of the threats made against his life. As Barnes was remanded in custody until 12 July, his lawyer asked if it could be to Eagle House rather than HMP Northward as Barnes was vulnerable in custody as well as outside. 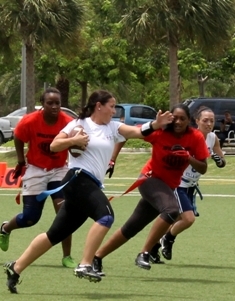 (GCFFA): The women’s flag football league, organized by the Grand Cayman Flag Football Association, kicked off this past Saturday at the Camana Bay Sports Field with a couple of friendly games. Rookies and veterans alike started off the season by taking part in an open scrimmage, where players were split into teams and worked to drive down the field with athletes that could very well be their archrivals come next week. The open game not only served as an opportunity for ladies new to the sport to get some firsthand experience, but it was a chance for all competitors and coaches to get clarification on the new rules of the 7 vs 7 game. The late morning, 20 minute-long exhibition games saw the Domino’s Pizza Wolverines take on the Androgroup Killa-Panthers on Field 1, and the Hammerheads Lady Sharks battle the Lone Star Jager Monsters on Field 2, as the newly formed Pythons looked on. The Wolverines defeated the Killa-Panthers 12-0, while the Lady Sharks also came out on top, beating the Monsters 12-0. With the introduction of shadow blocking, more players on the field and a larger playing field, the new 7 vs. 7 format proved to be very exciting, and it will be interesting to see how each team tackles the new challenges throughout the 2011 season. The official season will begin Saturday, July 9th 2011, with games running from 10:00 am till 12:00 pm at the Camana Bay Field. All flag football enthusiasts, or anyone interested in learning more about the game, are encouraged to come out and enjoy the friendly competition. 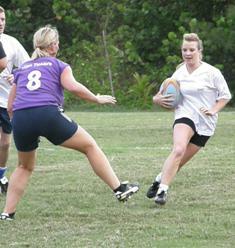 This year caymanrugbytv.com will be showing a selection of touch rugby games each week. Fans can also become friends of Cayman Rugby on Facebook to see player profiles, interviews and get an inside look at the worlds of touch rugby. Friends of the twenty-eight – year old victim, who worked for the Cayman Islands Brewery, said Thursday morning that despite the severity of his injury he is alive and doctors are making every effort to stabilize him so he can be airlifted for further treatment. He has lost an eye but it is believed the young brewer has not suffered any brain damage although the bullet passed through his face. The RCIPS has now confirmed the incident and officers are appealing for witnesses. All three suspects wore masks and spoke with Caymanian accents. One was wearing a hoody type jacket. Information can be passed to George Town CID on 949-4222 or the confidential Crime Stoppers number 800-8477(TIPS). (CNS): The leader of the opposition has said it is absurd for anyone to suggest that the people’s right to a peaceful protest about their government is the cause of destabilization. Following the march on Tuesday, Alden McLaughlin pointed out that the opposition and the people have made every sensible effort to deliver a message to the premier about the various concerns they have but he is refusing to listen. In the face of a letter to the local media from former political representatives Truman Bodden and John McLean, the PPM leader said the opposition had done everything it was possible to do to address the lack of transparency and the lack of compliance with the law but to no avail. “We have raised the issues on the floor of the House, we have a filed a motion of no confidence that has not even reached the order paper, we have railed on the talk shows, we have held public meetings, what more can we do?” he asked. He pointed out that the government has once again adjourned the Legislative Assembly without giving members a date to return. He noted that when the politicians are sitting, the premier controls everything that is on the order paper and both the opposition and the independent member are at the mercy of McKeeva Bush when it comes to getting their motions on the floor of the LA for debate or the parliamentary questions answered. McLaughlin pointed out that there were very real and genuine concerns among the local business community, the financial sector and the public at large, not just about the inappropriate project proposals, but about the way decisions were being made and in particular the circumvention by the premier of due process. He said this was further compounded by the recent revelations that the premier is at the centre of a police investigation concerning 'financial irregularities'. He said this was the issue that was causing any instability. He pointed out that, if anything, the march demonstrated that the one thing that did remain alive and well was democracy and that the people were still able to speak out despite the many who are afraid to do so. His opposition colleague, Arden McLean, had suggested the same thing when he MC'd the peaceful demo outside the LA Tuesday. McLean had gone a step further, however, and suggested that investor confidence was being undermined because everybody was "holding their hands out for their piece of the pie". 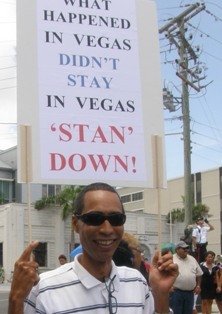 In their letter, which was sent to various media houses and can be seen here on Cayman27 site (it was not sent to CNS), Truman Bodden and John McLean criticised the opposition for leading the demonstration. “The democratic right to public demonstration should be used as one of the last resorts. Internationally the demonstration may be associated with instability in a world where recently governments have been removed by demonstrations and riots,” they wrote. The two former ExCo members blamed the party system and its further entrenchment in the new constitution, adding that under the old system “extreme actions were rarely used”. The opposition leader said he disagreed with Bodden and McLean and the Compass editorial on Wednesday, which had also criticised the demonstration. The leader of the opposition said he was worried about potential destabilization but people exercising their democratic right was not causing that instability. “It is the constant undermining of the rule of law and the spectre of corruption that is the problem,” the PPM leader added. McLaughlin said crime, the economic problems, the high cost of living and unemployment were undermining the country and this is what needed to be addressed. Ebanks states that he was with Peddie only seconds before he was shot. He told the court this week that he saw the three defendants pull up to the house in Willie Farrington Drive in the red car and as they started to get out he ran from the scene. He revealed that, seconds later, he heard six to seven gun shots. Ebanks said he returned to the same place he had been with Peddie when the shooting stopped and found him on the ground with multiple holes in his body. 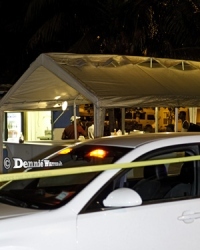 On Wednesday, Peddie’s wife’s told the court that her husband had worked as a security guard at the Next Level night club on West Bay Road but had quit after the murder of Carlo Webster, who was shot in the head inside the club in September 2009. A statement given to the police by Crawford, who was only seventeen at the time, was also read to the judge, who is hearing the case without a jury. Shortly after his arrest Crawford denied having anything at all to do with the murder of Peddie. He said he was home that afternoon with his sister-in-law and did not leave the house until after 5:15, when he went with her to the local pre-school to fetch his step-daughter and her children. The teen told the police he had no idea why someone would call his name and he never owned or even fired a gun in his life except for a flare gun several years before. Crawford said he knew ‘Bling’ and had hung out with him in the past but it had been some time since he had seen him. As far as he was aware, the accused teen said, Peddie had no trouble with anyone and he didn’t know why they had killed him. The defendant did, however, tell the police during the interview that he had heard that perhaps Peddie had something to do with getting a gun into the club the night Carlo Webster was shot but he didn’t know what he had got messed up in. The trial continues in court one tomorrow before Justice Harrison, who is presiding alone in what is a busy week for Cayman’s Grand Court, as three out of Cayman’s five judges are currently sitting in criminal trials. The re-trial of Josue Carillo Perez for the murder of Canadian national Martin Gareau in May 2008 has entered its sixth week and is currently before Justice Smith, who is also presiding alone. Theretrial has included a number of recalls of police witnesses and video evidence from expert witnesses. The case is, however, expected to close by the end of this week when counsel will make their closing speeches in a case that hangs on two smudged finger prints. Meanwhile, Veramae Watson is facing trial by jury for the death of Edwin Edwards in 2007 as a result of dangerous driving. The prosecution told the five women and two men serving on the jury that Watson was driving a Jeep with a homemade trailer carrying rocks, which was badly secured. As a result, the trailer came away from Watson’s Jeep and headed into the path of a local mini-bus being driven by Edwards, who swerved and hit a tree. Edwards died of his injuries a week after the smash in hospital in Jamaica. (CNS): With constant complaints in the community about the need for vocational training for young people on local business is doing what it can to help train the country’s next generation of mechanics. Superior Auto owners, Mark and Denise DeMercado open a school for mechanics in September and was recently acknowledged by the government’s National Youth Commission (NYC) “Somebody needed to reach out and help our young people, especially those unable to attend schools overseas,” the DeMercados said about their school. 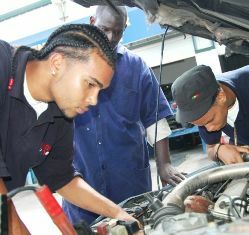 Their formula for a small automotive trade school was simple: provide free training – accredited by the Jamaican German Automotive School (JAGAS) – to interested youth. Volunteers, staff members and the DeMercados, conduct classes from 8 til 3 each weekday, and there is a balance between classroom and hands-on learning. Six young men enrolled last year but the number dwindled to three dedicated students, Christopher Jackson, Leandru Ebanks and Giovanni Ordonez. They were joined this month by Jessica Dixon and she will continue in September. Explaining why he and his wife had started the project, DeMercado said he had benefitted from a similar initiative in Jamaica. 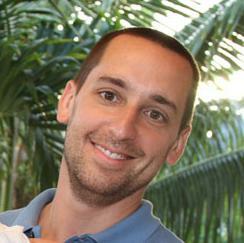 He too received his certification from JAGAS, a school that has produced hundreds of professional mechanics. And as in Jamaica, the Cayman syllabus includes mandatory core subjects – maths, English, technical drawing, science and physics. All must be passed before students can be certified. Superior Auto aims to develop a pool of qualified local mechanics, but that with this in mind, the initial group of students still has a way to go before they can be assessed as being technically competent. They must first pass 30 JAGAS classes with minimum scores of 70 percent, in order to become level-one mechanic helpers. After that, they must serve as apprentices for three full years while gaining level three certification, with which they can work in a leadership capacity. But the Cayman programme does have an accelerated component, for it covers levels one and two simultaneously, as explained by volunteer, coordinator Levi Allen — Superior Auto’s quality assurance staffer. And while the ultimate goal is long-term success, some more immediate rewards may also occur. For example, the DeMercados will keep one of the first trainees on-staff after the level-one training is completed this summer – and on a small stipend. In the coming school year the Superior Auto programme will accommodate ten local students, but twice that number have applied to attend. During their initial year, the DeMercados did receive some help for the youths to sit JAGAS examinations in Jamaica. Rotary Sunrise sponsored the June trip to Jamaica. In addition, PricewaterhouseCoopers has already contributed towards the summer exams, but more help is needed for this not-for-profit training programme. “And for those who might doubt the students’ dedication,” DeMercado noted, “They’re always here on time. The parents are equally committed, and turn up for “PTA” meetings even on Saturday mornings. The training facility was reviewed by National Youth Commission (NYC) members during a visit last week. As an independent commission, the NYC monitors and advises on the status of young people, and advocates for developing positive solutions to their needs. “I look forward to the day when I can have my car serviced by one of these ambitious young mechanics,” said NYC Chairperson Jenny Manderson. “I commend the DeMercado’s initiative, and laud the sponsors and volunteers who make this training possible. The participants and their parents should certainly feel proud to be involved. “I urge more enterprises to step forward to craft public and private sector partnerships in areas that can provide training opportunities and recognized tech-voc qualifications,” she added.